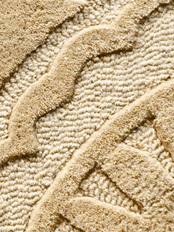 Anna V Rugs is a rug design company based in East Sussex. 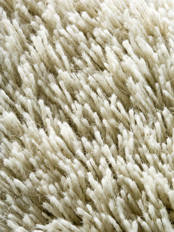 We specialise in hand tufted and shaggy rugs. All our rugs are designed in-house and each one is individual to us. 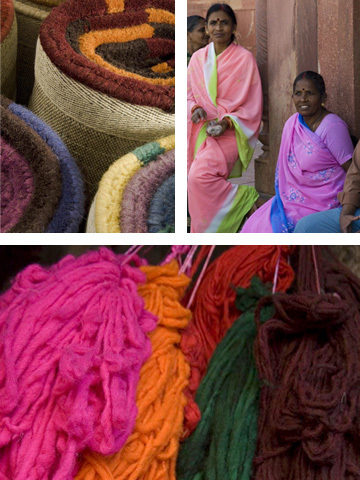 The designs and selected wool colours are sent to our factory in India where our skilled craftsmen transform them into beautiful hand tufted or shaggy rugs. The entire rug making process is handmade; from the designing, the dying of the wool, the making of the rugs and finally the various hand applied finishes which are detailed below. Our rugs are produced ethically using no child labour. 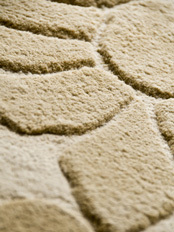 Our hand tufted rugs can have a plain flat surface, or the surface can be carved to add extra depth to the design. Alternatively we can loop areas of the design to create a textural feel or include viscose detailing to add a silky shimmer to specific areas of the rug. 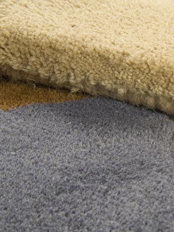 The rugs are handmade from 100% wool. 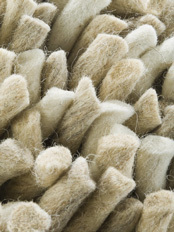 The wool is a blend of New Zealand and Indian wool. 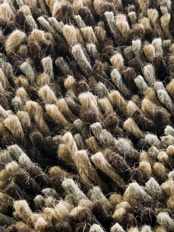 New Zealand wool gives the rug a softness to the touch and the colours a wonderful lustre. 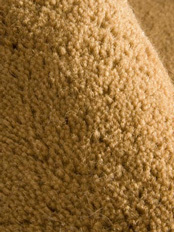 Indian wool is more durable and brings a hard wearing quality to the rug. We use chemical dyes that are hand dyed to make each individual rug. We do not limit ourselves to a colour-tuft box as we aim to match every single shade and tone of colour under the sun. 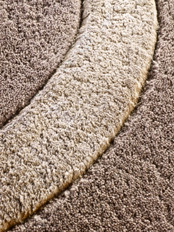 Regular light vacuuming will help remove everyday dust and dirt and preserve the original lustre and quality of your rug. During the first few months some surplus fibres may work themselves loose. Again light vacuuming will reduce this 'pilling' effect which is a natural process with a wool rug. To avoid colour fading reduce the time your rug is exposed to bright sunlight for sustained periods of time. Clean spills immediately with a clean, dry cloth. Blot liquid stains never rub them. Stains can be removed using a mild (bleach free) detergent and luke warm water. Alternatively if the stain cannot be removed seek the advice of a recommended professional steam cleaning company.